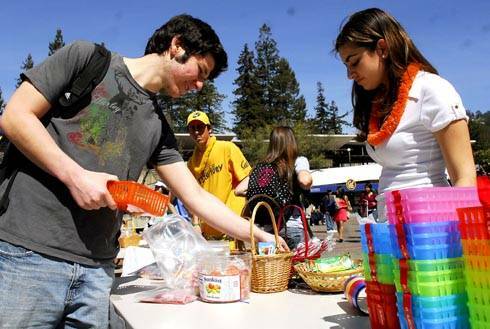 UC Berkeley students Michael Goldrich and Daphna Davidovits make baskets of food at the Purim carnival yesterday on Lower Sproul. Davidovits, a member of Berkeley Chabad, is manning the table. Purim is a Jewish holiday that takes place this Friday.